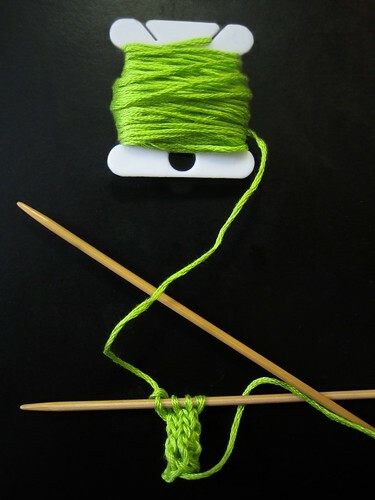 What number are the knitting needles shown in the picture? So tiny! I don't have the patience. Glossy! Like the color too. Hi everyone! I'm knitting i-cord on size 2 needles. The stem is going to be part of a shamrock, for a shamrock chain.